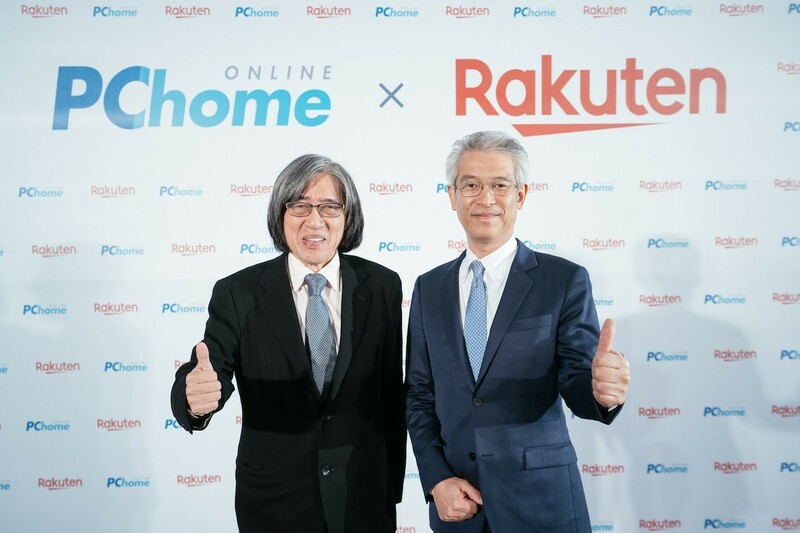 Taiwan’s e-commerce giant PChome Online has announced a strategic alliance with Japanese internet services provider Rakuten allowing for cross-border sharing of services so that both companies can reach more customers. Under the agreement, PChome Online can sell products on its platform from Rakuten Ichiba, Japan’s largest e-commerce platform. The Taiwanese company has also agreed to promote Taiwan Rakuten Card. In addition, PChome Online will sell e-readers from Rakuten Kobo, Rakuten’s Canadian subsidiary. Users of PChome Online and Rakuten Inchiba can also win points according to the amount they purchase that can be used for both e-commerce platforms. “Cooperation, sharing and reciprocity are the essence of the PChome and Rakuten alliance,” said Jan Hung-tze, the founder and chairman of PChome Online. “In the past, e-commerce and internet services developed in domestic markets could only be enjoyed by local users. “Through this strategic alliance with Rakuten and based on the membership services we provide in our respective ecosystems, we will be able to offer our members ….even more online and offline services. “We will also be able to eliminate the hurdles of payments, logistics and information flow and build boundary-free services that are convenient both online and offline," Jan said. Caption: Chairman Jan Hung-tze, founder and chairman of PChome Online, with Mr. Hiroshi Takasawa, Head of Rakuten Asia Regional Head Office. Twenty-year-old PChome Online is famed in Taiwan for its platform PChome24 shopping. It is Taiwan’s largest business-to-consumer platform, offering a 24-hour delivery service, with more than 5 million items for sale that can be shipped to 105 countries. They include consumer electronics, cosmetics and luxury brands. Rakuten, founded in 1997 by Hiroshi Mikitani, is based in Tokyo. “We are excited to form this alliance with PChome, one of Taiwan’s leading online marketplace companies,” said Hiroshi Takasawa, Head of Rakuten Asia Regional Head Office. However, this is not the first instance of exploring global markets for PChome Online, which last year saw a historic high in consolidated revenue NT$34.59 billion. PChome Onlines’s international branches also include PChome US, launched in 2012, and PChome Thai. In addition, the company owns another platform similar to Ebay that is used in Taiwan and Japan called Ruten, which is a joint venture founded in 2006 by PChome Online and eBay. PChome Group recently has been able to grow its membership through a scheme hatched up with Taiwan’s E. Sun Bank, whereby the bank issues a co-branded credit card for e-commerce transactions. Consumers can use the credit card to earn points from domestic and international transactions on PChome Online. Mobile payment services Apple Pay, Google Pay, Line Pay, Samsung Pay and Pi Mobile all work with PChome Online, which has helped to boost the Taiwanese e-commerce giant’s revenues. Recently, PChome Online also announced through a press release that it would work with another mobile payment service firm, JKOPAY, a Taipei-based QRcode payment system service.